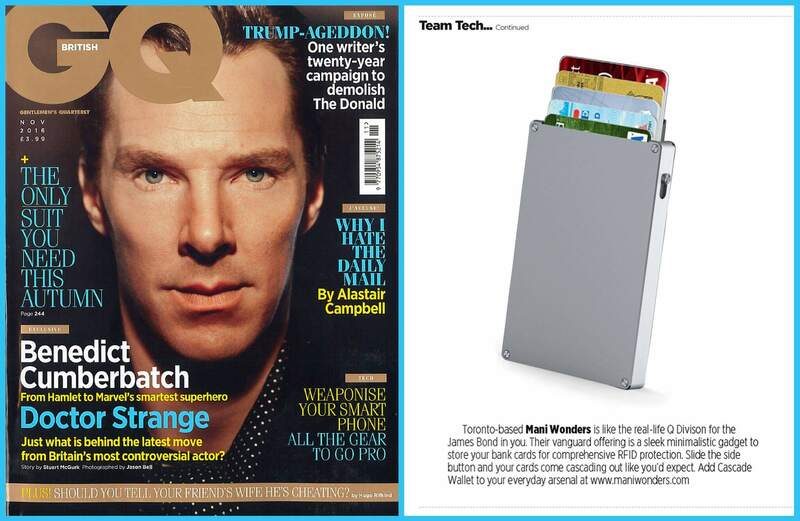 GQ November 2016 Issue presents Toronto based Mani Wonders is like the real-life Q division for the James Bond in you. Their Vanguard offering is a sleek minimalistic gadget to store your bank cards for comprehensive RFID protection. Slide the slide button and your cards come cascading out like you’d expect. Add Cascade Wallet to your everyday arsenal at www.www.maniwonders.com.